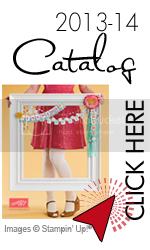 I find it very hard not to share the brand new catalog with everyone before July 1st. Stampin'up requires that the demonstrators follow their guidelines. 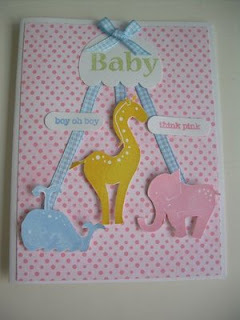 So, I will wait until July 1st however, I can share a very cute baby card made with a new stamp set from the catalog. I will miss Wild About You, but this new one is so dawn cute I will enjoy stamping with it. Don't forget my Open House on July 5th.